Save more than $85 in your favorite brands! Save $1.50 on ONE (1) Clorox 2 product. Excludes trial sizes and pens. Save $1.00 on any TWO (2) Clorox Clean-Up, Disinfecting Wipes 32ct+, Liquid Bleach 55oz+ or Manual Toilet Bowl Cleaner products. Save $4.00 on FIFTEEN (15) 3.5oz – 13oz cans or tubs of Purina Pro Plan brand wet dog food, any variety. Save $1.00 when you buy TWO (2) any flavor/variety Cascadian Farm products..Expires 4/30/2019.Save $1.00. 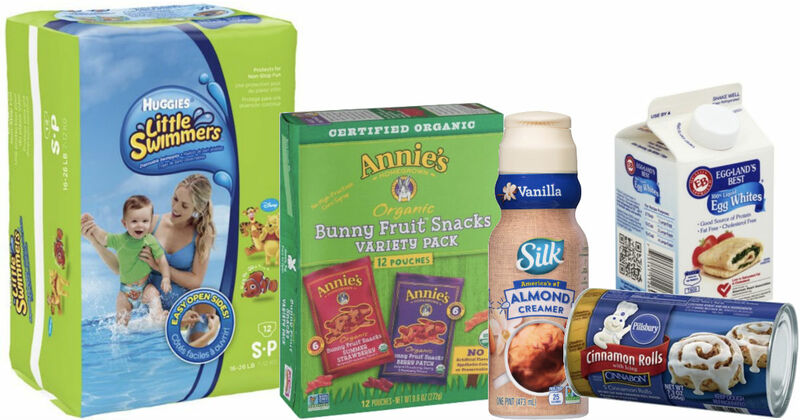 Save 50¢ when you buy TWO (2) BOXES of any Annie's Organic Fruit Snacks..Expires 4/30/2019.Save $0.50.